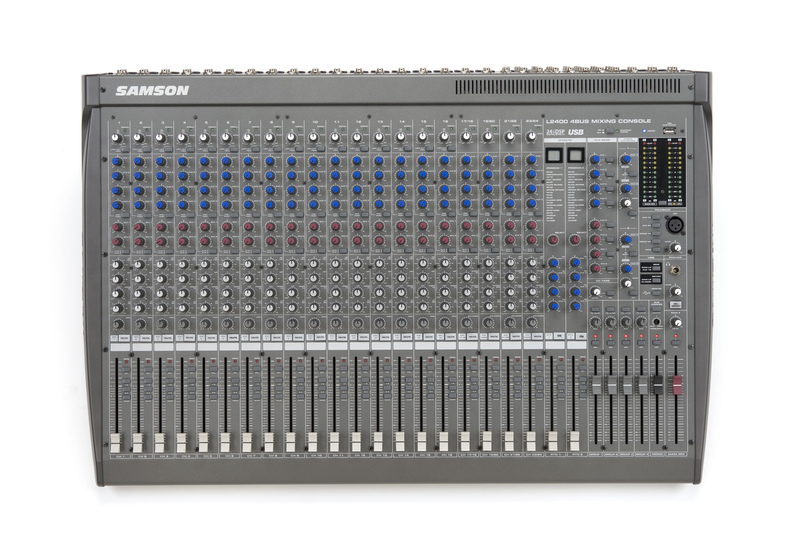 The L2400 offers 16 mic/line channels with preamps and 4-band EQ in addition to 4 stereo channels, of which 2 have mic preamps, providing great control and versatility Additionally, there’s two large 12-segment LED meters for the main mix, groups and PFL/AFL. Finally, we gave these mixers the versatility to create a variety of effects settings so you can deliver a different set of effects to your performers whenever the situation demands it. And for additional effects needs, we made sure there’s plenty of sends so you can use your racks of effects along side our on-board DSP.